Tasmania is the home to the vast wilderness area, spectacular mountains and dazzling beaches with its extraordinary beauty of “Tasmania Wilderness”. 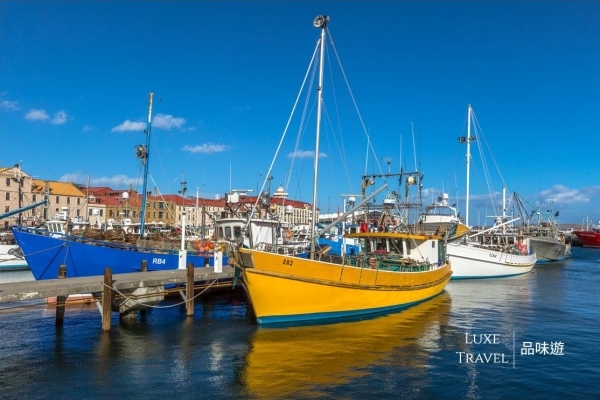 Luxe Travel Insiders will experience the stunning scenery and indulge yourself in finest cuisine and new world wine, tasting the fresh ingredients that nurtured by Tasmania’s nature in this land of charm. 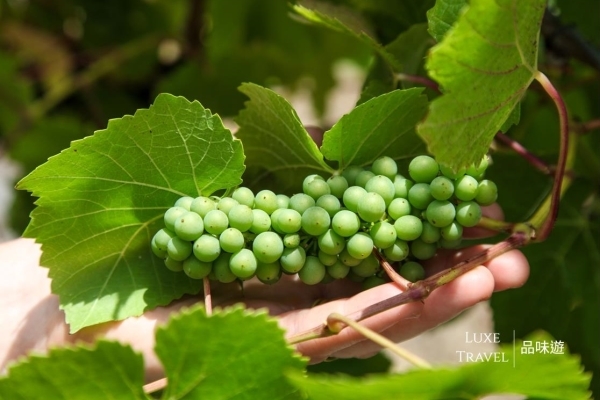 Luxe Travel Insiders will be satisfied with all the top wines and fine delicacies. It will be an ultimate experience overwhelms your taste and senses. Chief Luxe Travel Specialist, Mr. Michael F. Yeung is crowned as founding Premier Aussie Specialist of luxury travel in the region. Michael specialises in luxury travel, culinary travel and bringing travellers unique travel experiences. Be rest assured that when you leave your travel plans to him and his team, you are in good hands and they will ensure that everything is taken care of, right down to the smallest details, and you will have a trip that you will never forget. Explore one of the most beautiful national parks in Australia with rare plants and animals. Launceston is a riverside city located at the head of the picturesque Tamar Valley and boasts magnificent natural attractions including beautiful parks and gardens. Immerse yourself in the city's rich cultural heritage and enjoy a thriving food and wine scene set amongst the backdrop of vibrant Georgian streetscapes. Visit Josef Chromy Cellar Door, Vineyard and Winery, offering premium Tasmanian wine, which is located at Relbia, for a wine tasting. Luxe Travel insiders will go behind the label and explore the winemaking process from grape to glass. An informative yet informal opportunity to learn a little more about how a vineyard works and how the grapes develop throughout the season. You will taste some wines in their unfinished state before heading to restaurant for a two course lunch of fine Tasmanian produce with matched wines. Enjoy a walk after lunch. Launceston Cataract Gorge and First Basin is Launceston’s own piece of wilderness just 15 minutes walk from the city centre. Here you will find walking and hiking trails, the world’s longest single span chairlift, beautiful gardens suspension bridge and panoramic lookouts with spectacular views. 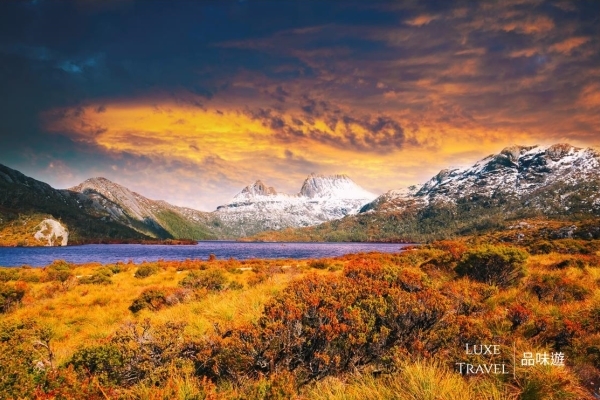 Cradle Mountain – Lake St Clair National Park, with its ancient rainforests and alpine heaths, is home to the world-famous Overland Track and iconic Cradle Mountain. Part of the Tasmanian Wilderness World Heritage Area, the park is one of the state's most special places, where ancient pines fringe glacial lakes and icy streams cascade down rugged mountains. The park also provides a rich habitat for wildlife, including Tasmanian devils, quolls, platypus, echidna and several bird species. Luxe Travel insiders enjoy a few brief walks with your guide through the park showcasing the best on offer. Freycinet National Park is a must see during your Tasmania stay. Learn about the Peninsula’s rich history and acquaint yourself with one of the world’s most famous beaches – Winelgass Bay. Enjoy a small walk to Cape Tourville lighthouse, with stunning views of the Tasman Sea and glimpses of Wineglass Bay and to Sleepy Bay. Enjoy a full day seafood seduction cruise today. Relax on board as you are looked after by 2 local guides. Your guide will jump in and snorkel to catch wild fresh abalone, which are prepared and served onboard the boat. Savour locally made organic cider and boutique beer. Taste some of Tasmania's cool climate wine varieties. 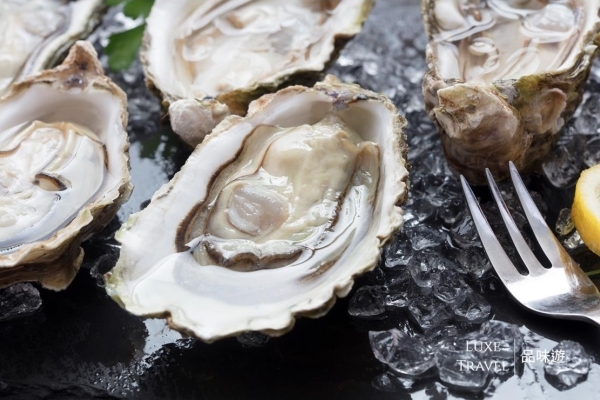 Throughout the day you will enjoy a range of local Tasmanian produce, including:Wild Abalone, Rock Lobster,Oysters,Salmon,Sea Urchin etc. 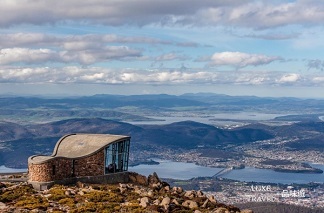 Then take a drive up Mount Wellington for spectacular view of Hobart city and surrounds as a conclusion of the day. Mount Field National Park is famous for the very pretty three tiered Russell Falls which has become an iconic image for Tasmania. Mount Field is also Tasmania’s most accessible National Park and offers diverse glacial landscape indicative of the island’s geological links to Antarctica. On arrival there is an easy walk on a sealed path to view the Falls. 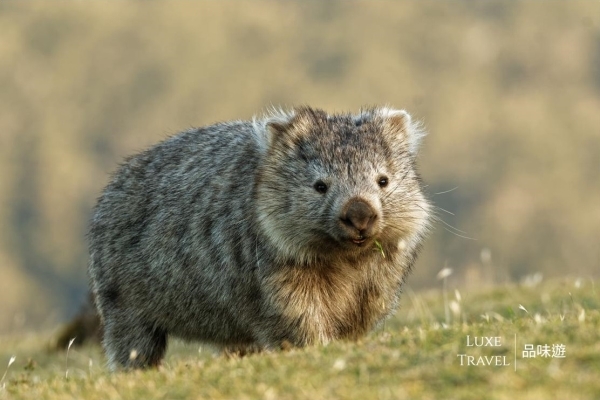 Keep your eyes open for echidna, bettong and pademelon as Mt Field National Park is home to many of Tasmania’s animals. Visit Mona, the Museum of Old and New Art which is Australia's largest privately-owned gallery and museum. Showcasing the diverse collection of its owner, Tasmanian gambler and maths nerd David Walsh, Mona exhibits everything from ancient Egyptian funerary objects and modernist masterpieces to a word waterfall and a machine that mimics the human digestive system. After have a Moorilla's Wine Ambassador - a bone fide expert in all things wine - will take you on a private, behind-the-scenes tour of the Moorilla winery and vineyard. You'll taste the wine as it's being made and delve into the backstory of Moorilla, The tour includes an exclusive tasting of the best wines from Moorilla's Cloth Label and Muse Series. Indulge in a delicious two-course lunch of seasonal local produce and wine paring. Enjoy a beautiful day in Melbourne at your leisure. Every stage of life is unique......so as your journey! 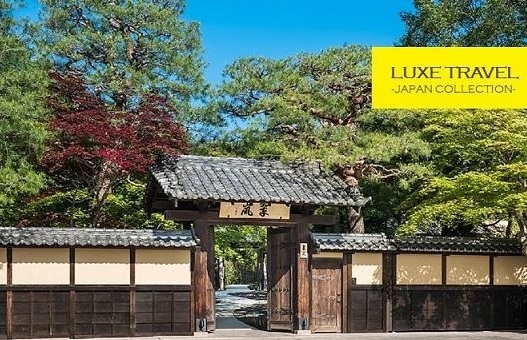 As the world top 500 and the Asia leading luxury travel platform, Luxe Travel creates tasteful, unique and unforgettable moments for you and loved ones. We provide you the best tailor-made luxury travel experience and create you precious and lifelong moments that stay forever. We cater to your unique travel needs with our private day tour, full private tour and Luxe Bonus Amenity. - Round trip business class air ticket from Hong Kong to Melbourne, economy class air ticket from Melbourne to Launceston and business class air ticket from Hobart to Melbourne. * Terms & Conditions apply. Departure from Hong Kong only. Prices are correct at time of publication in 23rd Feb 2019, based on twin share & minimum 2 people traveling together, subject to change without prior notice due to changes by suppliers, fluctuation on exchange rate and availability. Booking on black-out dates i.e. long weekends, public holidays & trade fair period in Hong Kong or destination are not applicable. Please arrange your journey at least 45 days prior to departure. Luxe Travel reserves all rights to reject last minute booking. Pictures and above details are for reference only. Offer cannot be exchanged for cash & used in conjunction with other promotional offers. Terms & conditions of Luxe Journey Concierge Service apply. Please contact Luxe Travel Specialists for quotation. In case of disputes, the decision of Luxe Travel Limited shall be final.